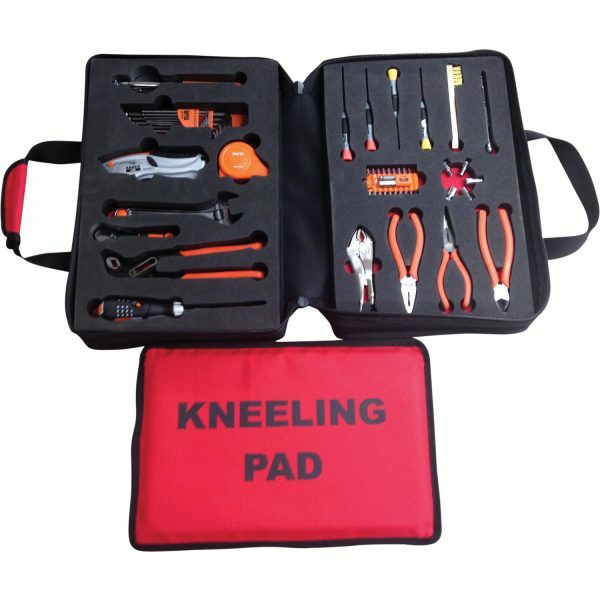 An essential companion to pilots, this 45-piece GA Tool Kit is designed to assist in minor maintenance tasks. In keeping with our range of pre-designed tool kits, the Flight Aid Kit has adopted the tool control aspect. The high quality BAHCO aviation tools are individually embedded into Skydrol resistant foam. These foams have red material backing which highlights a missing tool immediately, whilst also ensuring that tools are kept organised and free from the risk of damage. Telescopic Swivel Head Mirror 50mm dia. 290mm closed 450mm ext.